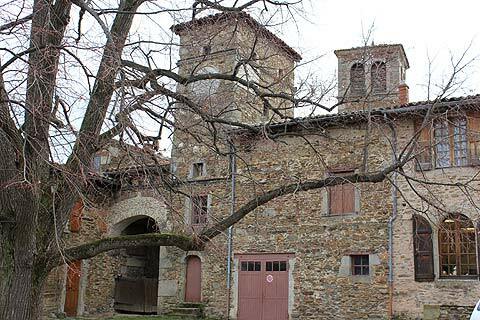 Sainte-Croix-en-Jarez is a small village in the Parc Naturel Regional de Pilat in the Loire department of the Rhone Alps, 37 kilometres from Saint-Etienne and 48 kilometres from Lyon. 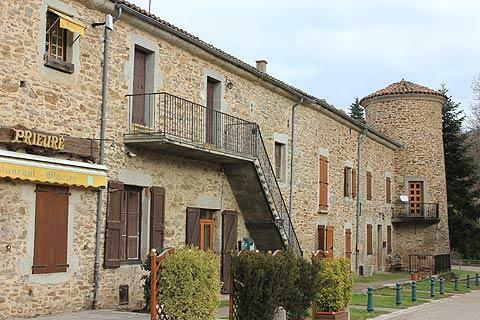 It is classed as one of France's most beautiful villages. 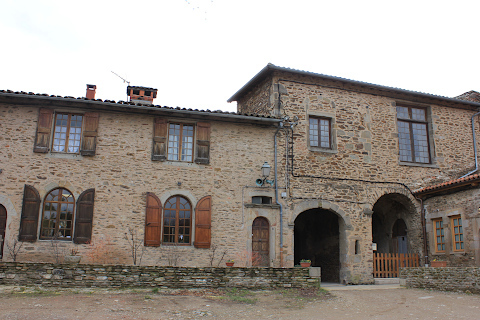 Sainte-Croix-en-Jarez was originally founded around a Carthusian monastery built in the 13th century, and most of the houses of the village were once a part of the monastery. 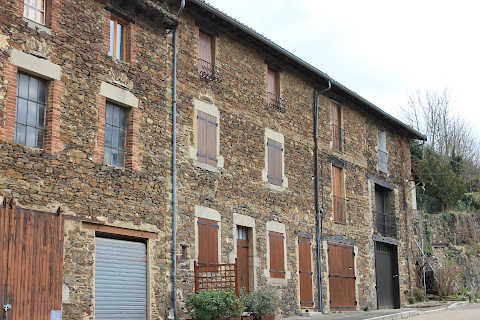 Monks inhabited the monastery up until 1792 when they were evicted during the French Revolution and the buildings sold to neighbouring families. 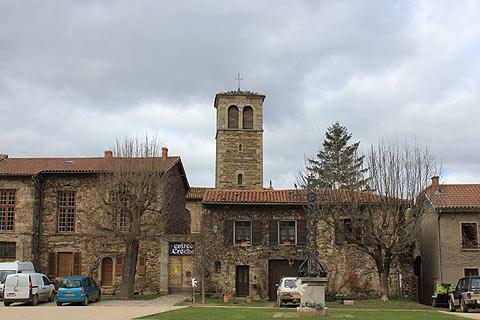 Following this conversion of the monastery into a village, little then changed in the following 200 years. 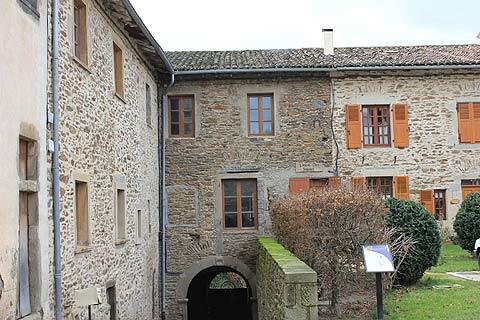 Of course, it is possible to visit the village all year round but to see inside the buildings you need to take the guided tour organised by Sainte-Croix-en-Jarez tourist office which is open from 1st April to 30th September and then weekends only in winter. 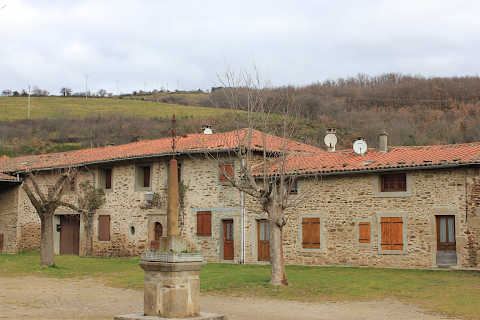 Once through the large stone doorway flanked by two round towers you enter the first of two squares inside the village. All around the square you can see the attractive buildings of the monastery: all are built in the same brown stone and together they form a nearly continuous square of buildings around the edges. 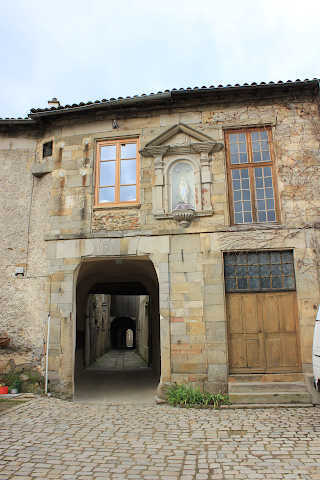 To the left there is the entrance to the passageway that links the Cour des Frères to the Cour des Pères and which was at one time reserved for the monks. This first square was a place of workshops by the monks and others to produce all those things necessary to life in a monastery. The Cour des Pères is surrounded by the monks cells. If you are on a guided tour you can visit the cloister and see the church which, after a fire in the 18th century, was installed in the Chapter house. Here you can see some richly decorated stalls and paintings from the 15th and 17th century. 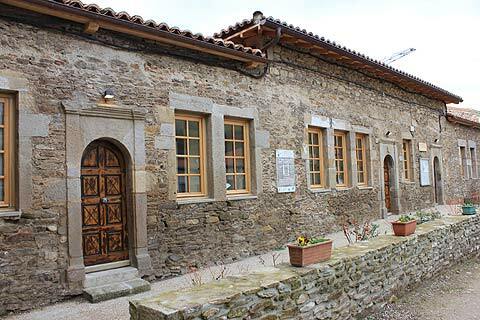 The cloister leads to the 'eglise primitive' which contains some 14th century murals. 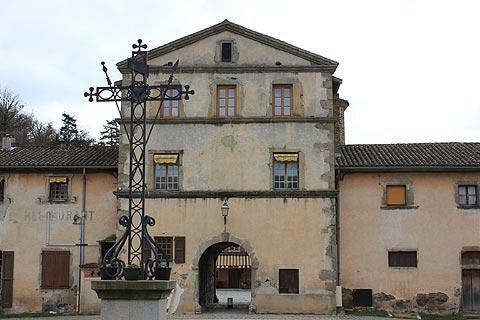 There is also a wonderful vaulted monastery kitchen with a Renaissance fireplace and a bakery to see and a restored cell to give you an idea of what life was like for the monks of Saint-Croix-en-Jarez. In fact life was better than you might have imagined as each 'cell' is now a family house - small but not exactly how you imagine a monk's cell! 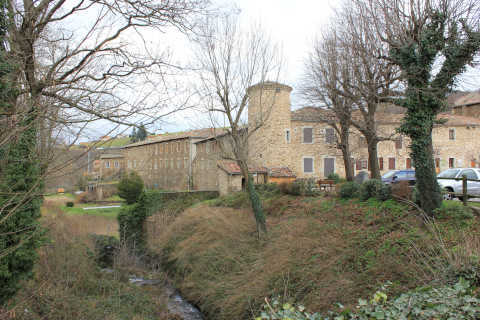 At the far end of Sainte-Croix-en-Jarez is another open square and here the monastery buildings on one side now form the local primary school. 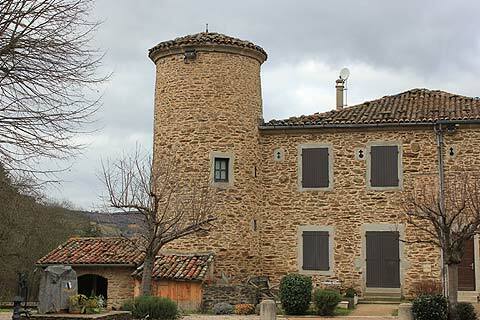 Around Sainte-Croix-en-Jarez you can explore the Parc Naturel Regional de Pilat and the Pilat mountains. 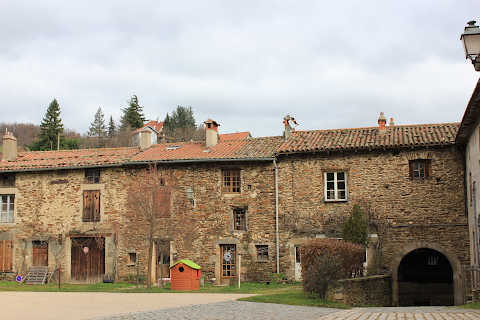 Elsewhere in the parc, the interesting villages of Pelussin et Malleval are just a short and scenic drive to the north-east.